A new package of support for seriously wounded armed forces personnel has been launched. The joint agreement between the MOD and NHS England, developed with the Department of Health and Social Care, will ensure that individuals with very complex and enduring healthcare requirements transitioning out of the military into civilian life will continue to receive comprehensive support. The new approach will benefit individuals such as Lance Bombardier Ben Parkinson, who was severely injured in Afghanistan. Ben has been medically discharged from the Army, following agreement with his family that his care needs would continue to be met in civilian life. Ben has given a lot for this country and I’d like to thank him and his family for all they have done throughout this process. We have now agreed a package of support for Ben, to ensure that he gets the right care as he leaves the Army and moves into civilian life. This new support package will also benefit other serving personnel who have been seriously injured. Those who bravely serve our country deserve its full support, and in the NHS we are committed to playing our part. That’s why we’re now expanding the dedicated care for those who need it from highly skilled teams of NHS nurses, therapists and doctors. 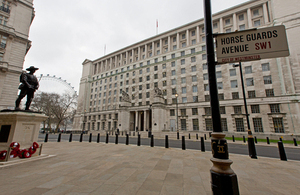 As well as the establishment of the new framework, known as Armed Forces personnel in transition, Integrated Personal Commissioning for Veterans (IPC4V), the MOD will now provide extra funding to a very small number of individuals injured in service, and Armed Forces Compensation Scheme recipients who require 24 hour, one to one care from a trained individual. It’s right that we do everything we can to support those service personnel who have been severely wounded while serving our country. This new framework will ease the transition into civilian life for the small number of military personnel who have been badly injured. The joint approach between the MOD, the NHS, and local authorities to provide this comprehensive care demonstrates the Armed Forces Covenant in action. We owe enormous gratitude to the brave men and women of our armed forces, like Ben, who have risked their lives for our safety and security. Their health and wellbeing must be our priority and we have a duty to provide excellent specialist care no matter what their physical or mental health needs. The NHS is there for all of us when we need it most and this new package of support, delivered as part of our Long Term Plan for the NHS, will provide the ongoing care which our veterans deserve. A dedicated Veterans Welfare Manager, employed by the MOD who will be a central point of contact for the individual and all involved organisations. The Veterans Welfare Manager will provide a range of support, including ‘guided conversations’ to help the individual identify goals and actions and explore the management of their health and wellbeing within the context of their whole life and family situation. They will also make connections to community based resources, including veteran specific organisations, facilitate appropriate referrals back into health or social care and arrange at a minimum an annual review of the individual’s care with them and each involved organisation and will have the ability to escalate any concerns in to the Ministry of Defence.